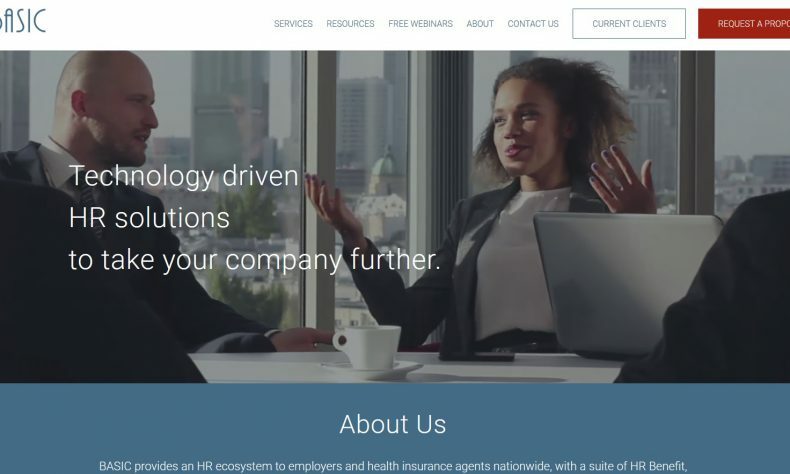 PORTAGE — BASIC, a provider of human resources products and services, has launched a new web site at https://www.basiconline.com/. The new site features a streamlined, modern design, improved functionality, and easy access to essential information to help employers and health insurance agents make well-informed decisions about their HR benefits, compliance, and payroll needs. The new comprehensive website brings together the BASIC family of companies into one site, including offices in Portage and Grand Rapids in Michigan, and Roseville, Calif., Nixa, Mo., Akron, Ohio, and Warwick, R.I. Visitors are encouraged to explore the website and sign up for BASIC’s monthly educational webinar invites at https://www.basiconline.com/free-webinars/. The website was built by Spark Business Works, a Kalamazoo-based IT services provider. BASIC, founded in 1989 as Benefit Administrative Services International Corp., was one of the nation’s first administrators of flexible spending accounts. It offers a suite of benefit, compliance, payroll, and leave management products and services, offered independently or as part of a platform.